The Royal Academy brings together local playwrights, musicians and artists, all with the intention to teach young girls and boys that each can grow to be strong, confident citizens. The Academy will present original mini-musicals featuring well-known princes and princesses, like Sleeping Beauty, sharing messages about building self-esteem and empowerment. Academy participants will also pursue art projects to stimulate the imagination and build confidence. The musical True Love's Tale, written by local musician/playwright Alicia Moore, will be performed in Stella Olsen Park’s outdoor amphitheater, highlighting aspects of personal growth, confidence building and community service. 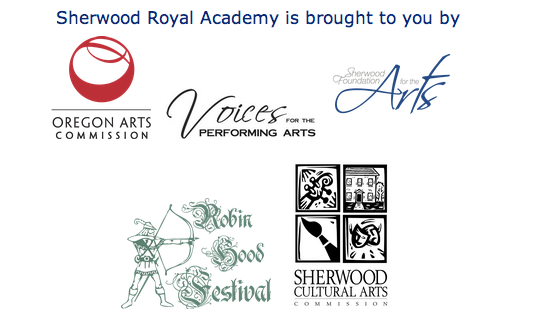 For more information, contact royalacademy@sherwoodarts.org.